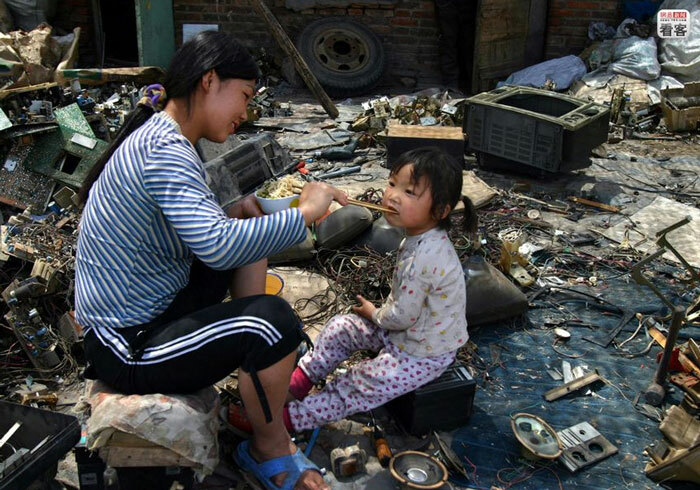 2 China is the second largest producer in the world of electronic waste, with more than one million tonnes per year. 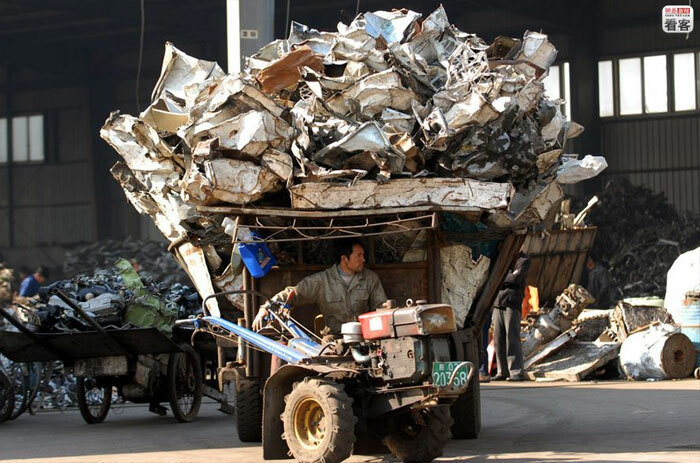 China is the second largest producer in the world of electronic waste, with more than one million tonnes per year. 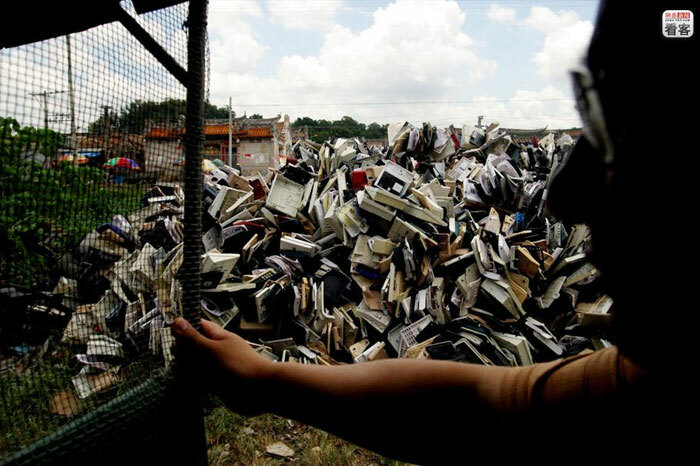 It ‘s also the largest importer of electronic waste, since every year 70% of e-waste from the rest of the world flows in its territory. But here, more than elsewhere, e-waste is also an important source of profit, as well as being a cause of pollution of rivers and land. According to some studies, a computer monitor contaminates 80 tons of water. 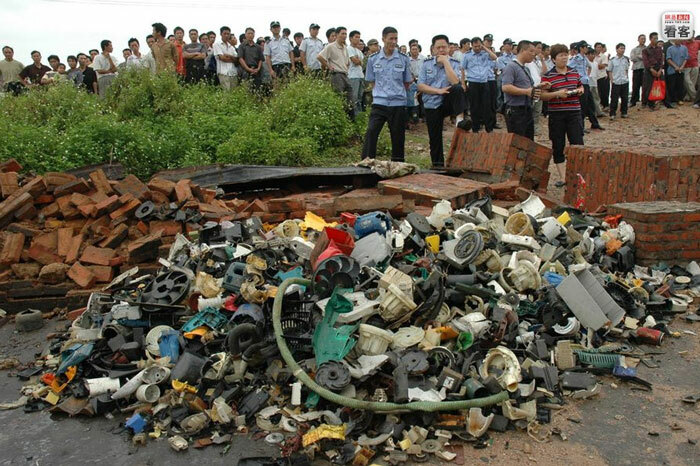 Guiyu (贵屿), in Guangdong Province, was widely perceived as the largest electronic waste (e-waste) site in the world. Since 2003, China has scrapped at least 500 million television sets, 4 million refrigerators, 500 million of washing machines, 500 million computers and tens of millions of mobile phones, becoming the second largest producer of e-waste, just behind the United States. 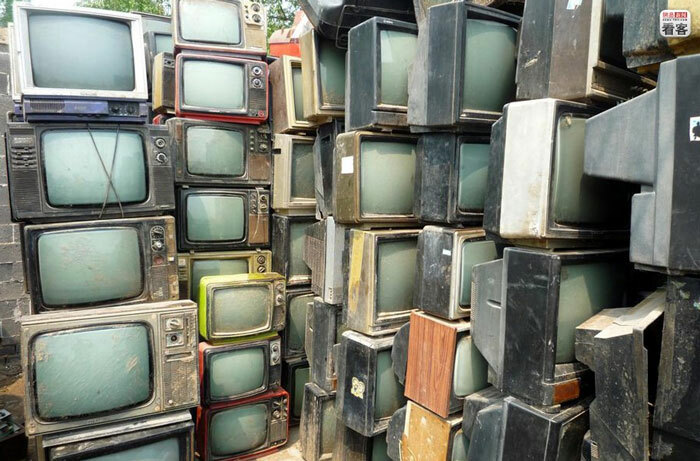 In the photo, Xingtai farmer’s Jiu Jiadian courtyard filled with old televisions. 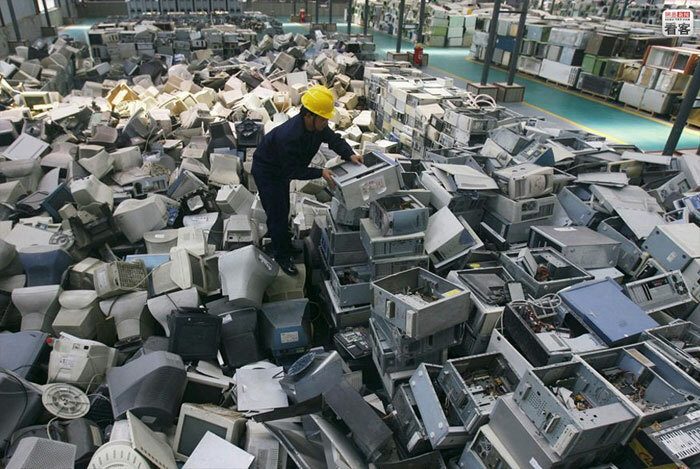 China is also the largest importer of electronic waste in the world. 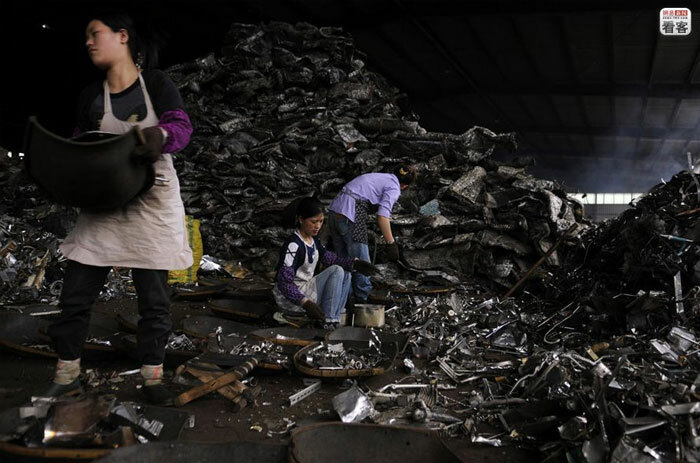 Each year, China imports 70% of electronic waste in the world, between twenty and fifty million tons. 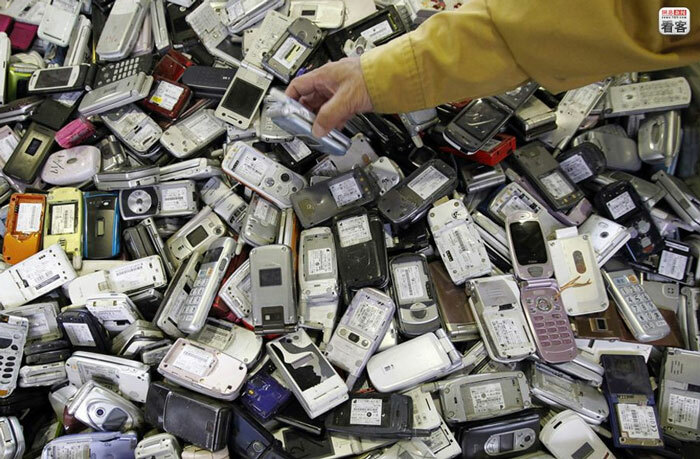 In the photo, old mobile phones from Japan. 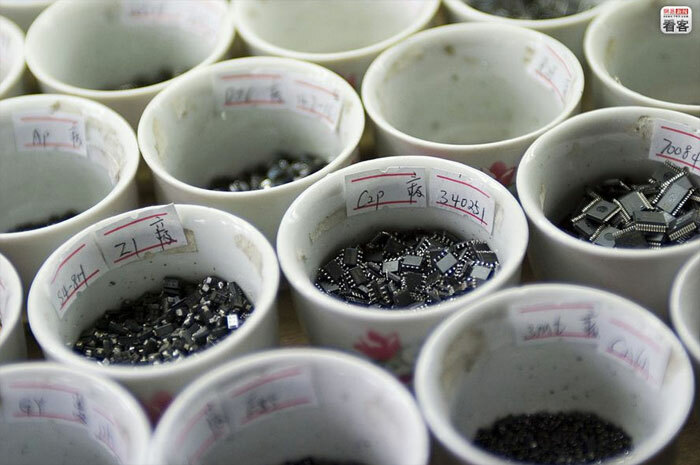 In the West, electronic waste disposing costs are much higher than in China, since there are strict laws that regulate the flow. 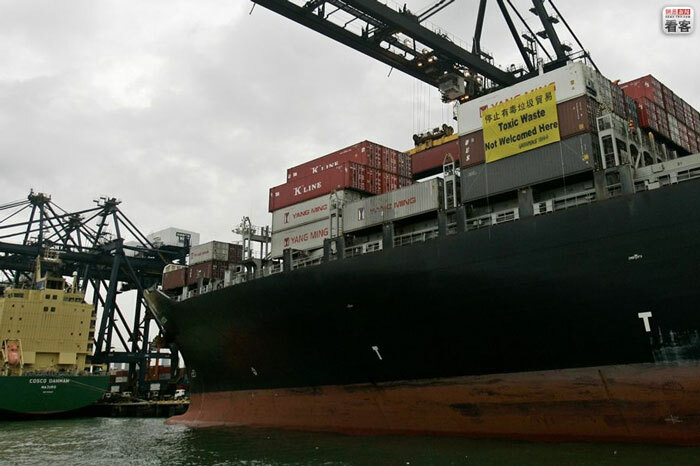 Thus, it is much easier to pack and ship our waste to China. 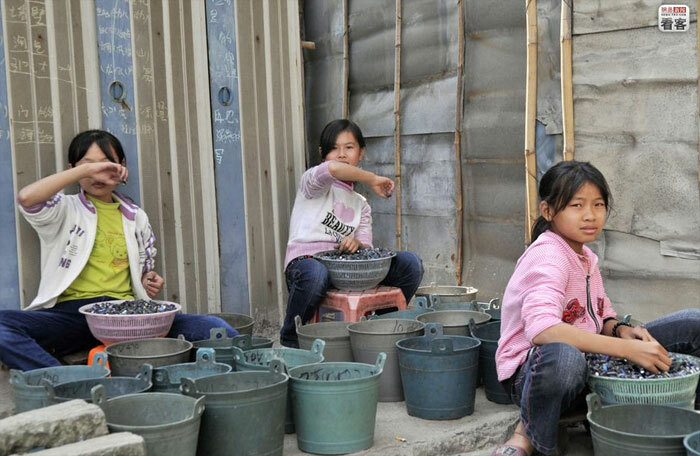 In the photo, a landfill in an industrial park in Taizhou, Zhejiang. Some dangerous and highly polluting elements recovered from the electronic products can be returned to the market. 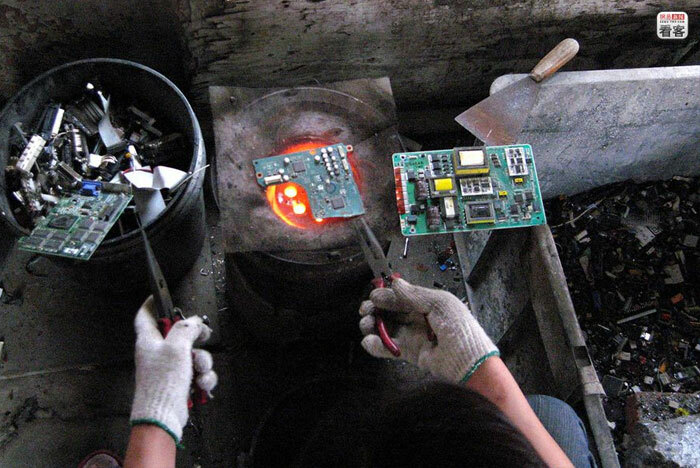 Although there are international conventions which prohibit the import – export of e-waste, the benefits derived from this business are worth the risks. Thanks to e-waste, local people has been enhanced easily. Guiyu for example, has 15,000 inhabitants. But at what cost? 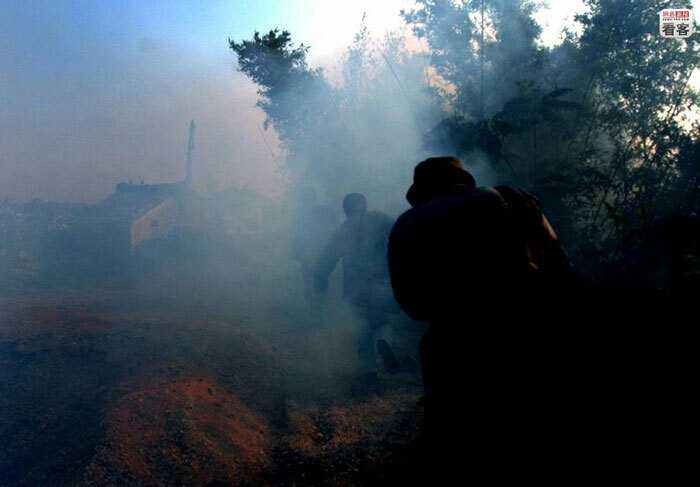 The photograph, taken on December 5, 2003 shows the thick black smoke emanated from heavy metal ewaste incineration.